Diogenes NGO is a non-profit organisation that launched the “Kick Out Poverty” campaign in Greece back in 2007. Homeless people, people on drug rehabilitation programmes and asylum seekers are the groups in focus. Since then, Diogenes has developed a series of social projects and programmes. In February 2013, Diogenes NGO launched the first Greek street paper: “Shedia” (which means ”raft”).“Shedia” belongs to the International Network of Street Papers (www.insp.ngo). Street publications are independent newspapers and magazines that provide unique employment opportunities for people experiencing poverty, homelessness and long-term unemployment. Vendors buy copies at a price of 50% or lower than the cover price, then sell them, keeping the proceeds. It is a unique employment opportunity, enabling the world's most disadvantaged people to earn a dignified income and rebuild their lives. The “Invisible tours” is a social tours programme based in Athens, in which homeless people become tour guides in a very different kind of a city walk. The tour introduces visitors to some of the important social and solidarity institutions of the Greek capital (soup kitchens, drug rehabilitation centres, homeless shelters etc). The goal of these social tours is to energize the person who is leading the tour and to create new ways for him/her to support himself/herself, providing new training and educational opportunities and supporting them to move a step closer to social (re)integration. Diogenes NGO organises a wide range of activities and social programmes, always aiming to enable people to support themselves and to raise social awareness. Photography, literature reading, theatre groups and ceramics classes are some of these activities that energize and empower people who are currently experiencing homelessness and social exclusion, providing them, in addition, with training, educational and employment opportunities. Firmly believing in the power of sport in effecting social change. 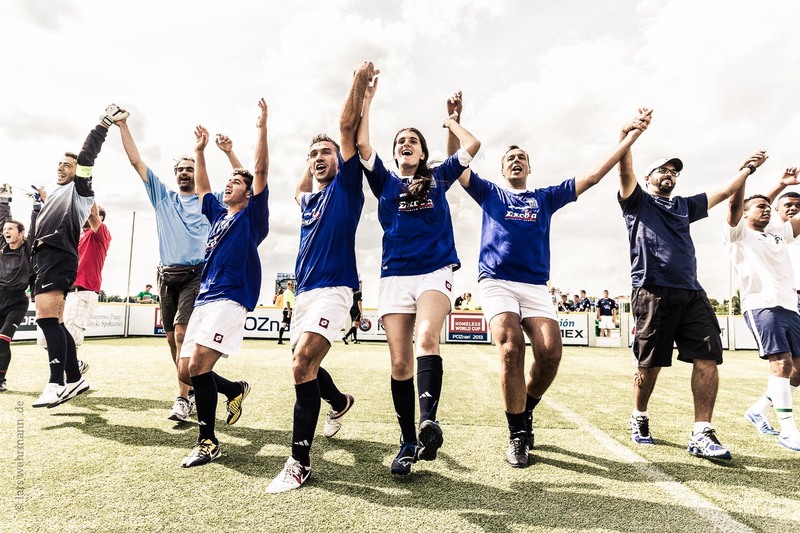 Apart from football, Diogenes NGO has formed and supports running, basketball and petanque teams.